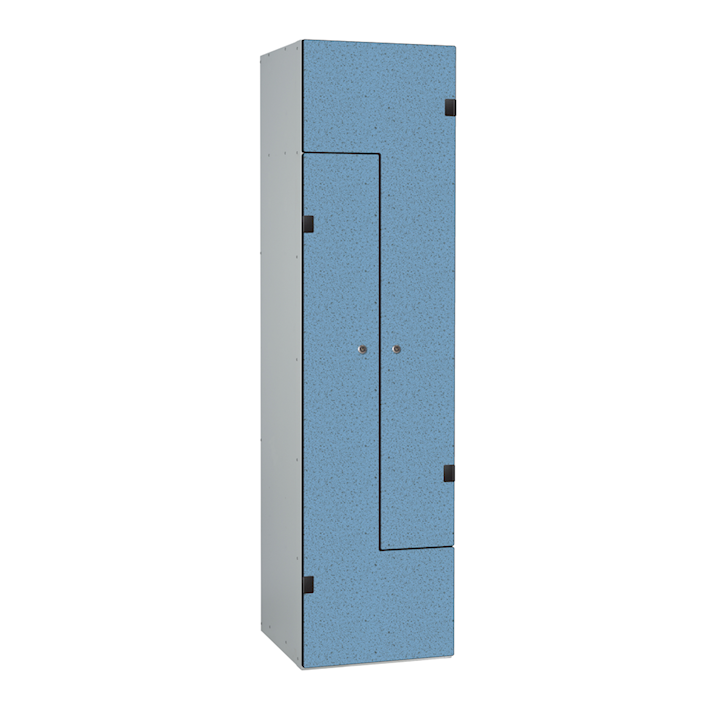 Z door lockers offer 2 person storage with a unique Z shaped door design. Specialist jig tooling manufactures the doors into a Z shape allowing the locker doors to interlock together into a flush finished compact unit. Combines 3/4 height hanging for garments and coats with a double coat hook included. There is also a small shelf for storage of personal items such as bags, phones, keys etc. 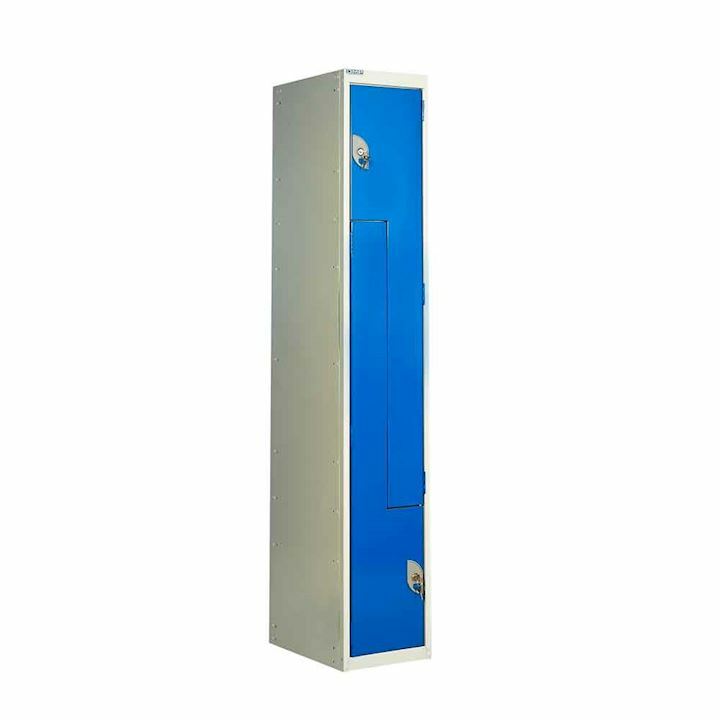 This locker is ideal for use in dry areas such as schools, offices or gyms with a choice of steel or more robust laminate doors. Z lockers is an excellent space saving locker as you have 2 compartments within the footprint of 1 locker. Z lockers come pre-drilled in the sides so a run of lockers can be created on site. Choose from a range of vibrant door colours and check out our locking options when you click customise and buy.